The city of Lincoln, Nebraska, is home to the nationally recognized University of Nebraska football team. 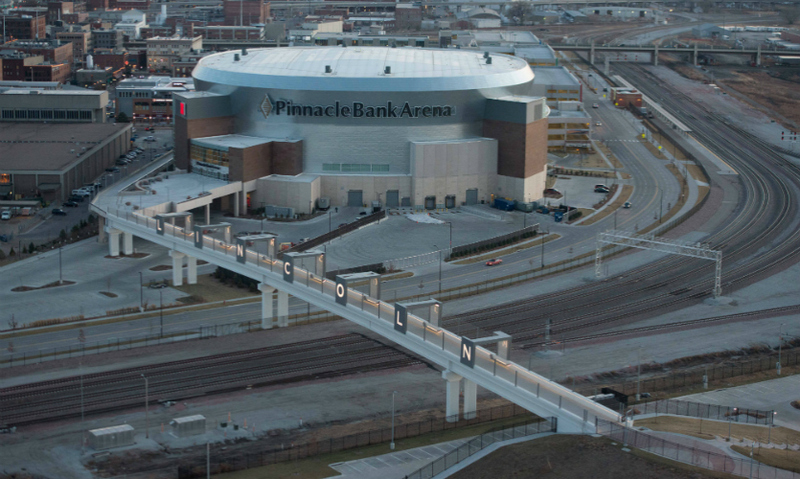 To leverage the team’s popularity (and televised games) and create an iconic impression of the city, Mayor Chris Beutler embarked on an ambitious project to develop a pedestrian bridge in the city’s emerging Haymarket District to connect the new Pinnacle Bank Arena with a festival plaza and parking areas. Dimensional Innovations was engaged early on by the project management team PC Sports to work directly with Mayor Beutler to develop the bridge. 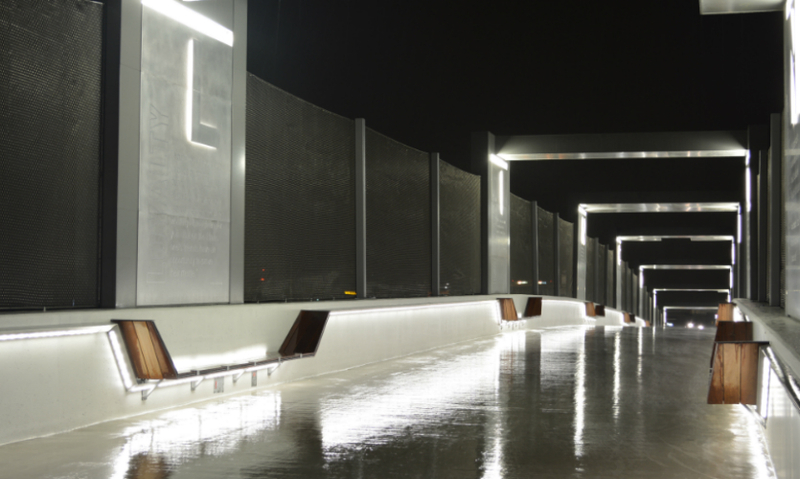 From the team’s perspective, there were two ways to make the bridge “iconic.” The first (and most costly) was to focus on the structure itself. The second, more cost-effective approach was to build a simple structure and endow it with design elements that would give it the iconic look the Mayor was trying to achieve. 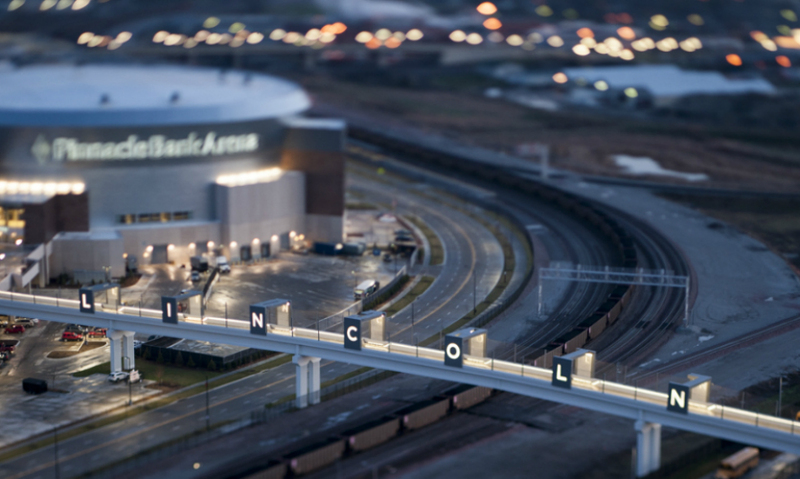 The ultimate solution—driven both by budget and the need to free-span railroad tracks—was to build a simple, long-span, post-tensioned concrete bridge that could be the foundation for a unique way to celebrate the city of Lincoln. Another key challenge was the very stringent installation requirements of the large portals over an active BNSF rail yard. Rail traffic never stops, so installation of the rails (using cranes) had to be very tightly scheduled and executed. 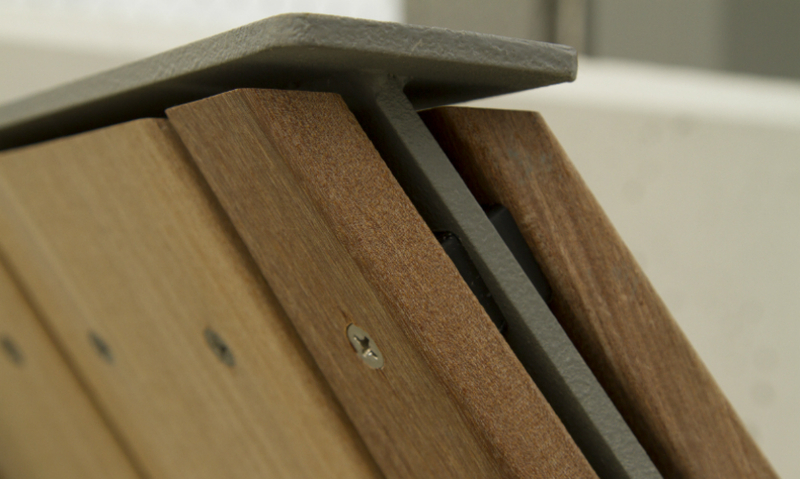 The engineering and fabrication of the portals took this into consideration from the very beginning. 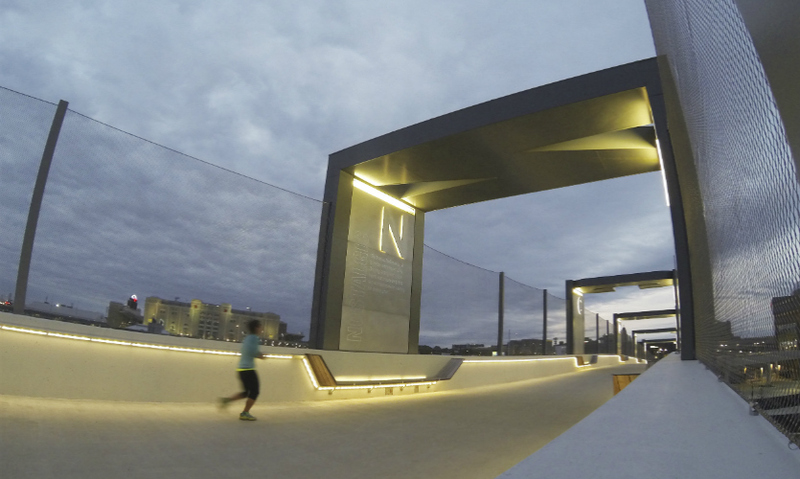 The portals were built as fully pre-fabricated panels that were pre-wired and built to accommodate the safety fencing, the lighting, and connection to all of the benches. These were pre-assembled in Kansas City at the DI shop, then shipped to Lincoln on flatbed trailers. 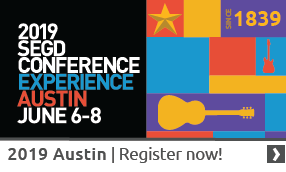 Dimensional Innovations coordinated extensively with the mayor, city officials, and the client team. Discovery sessions included open dialogue to align both teams on what the bridge would mean for the community and how it could be brought to life in a meaningful way. 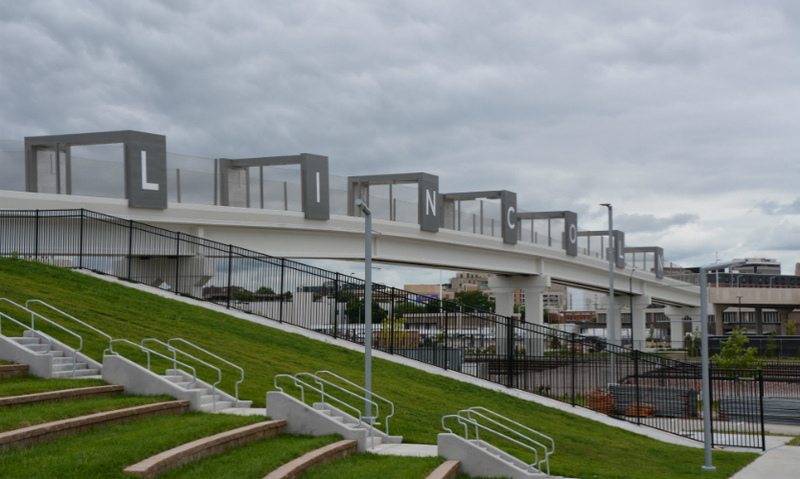 The new bridge is a 611-foot-span featuring steel letters spelling out the city’s name, visible from above and from both sides. 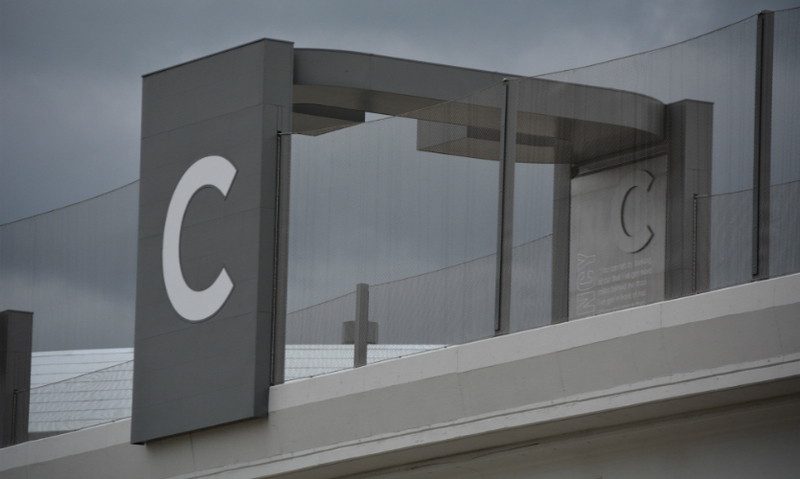 The letters are comprised of 43 tons of steel, use 6,000 LED lights, and each corresponds to a value or principle. Quotes from Nebraskans—famous, historic, or living—celebrate the city’s rich cultural history. For instance, the letter “i” has a quote associated with integrity. 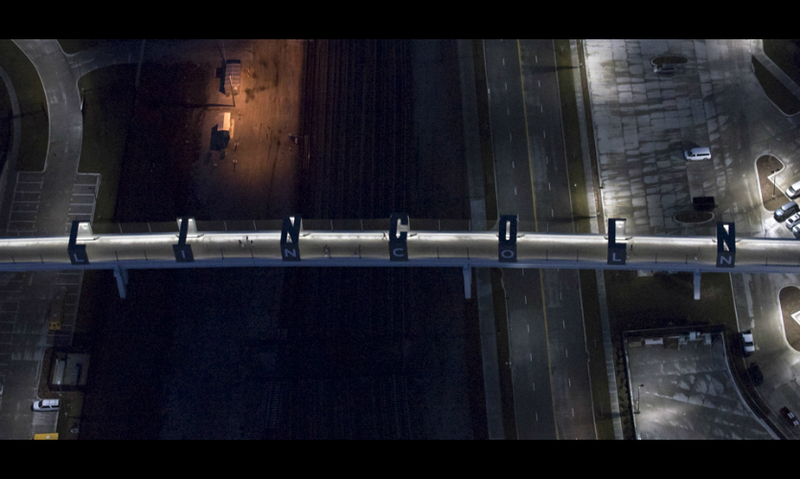 During the day, the sun illuminates the letters and by night, they light the bridge, turning an otherwise large steel structure into a beautiful landmark. 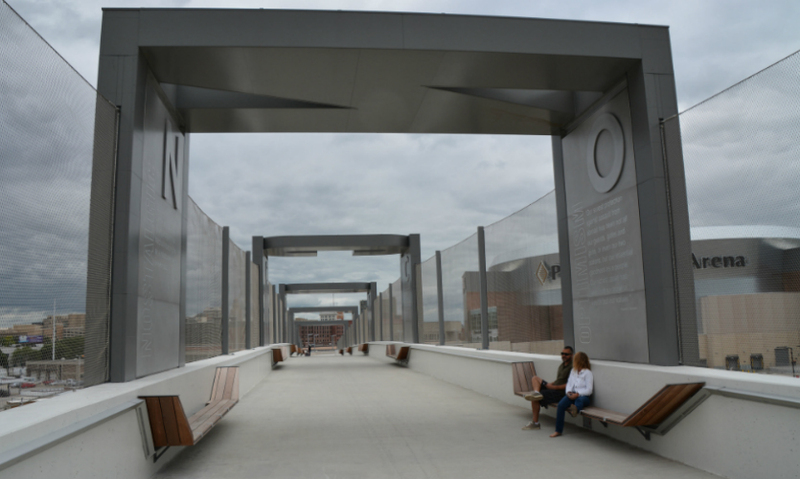 When the arena attracts a sell-out crowd, officials estimate 5,000 people will use the bridge to reach Pinnacle Bank Arena from parking areas southwest of Haymarket Park. 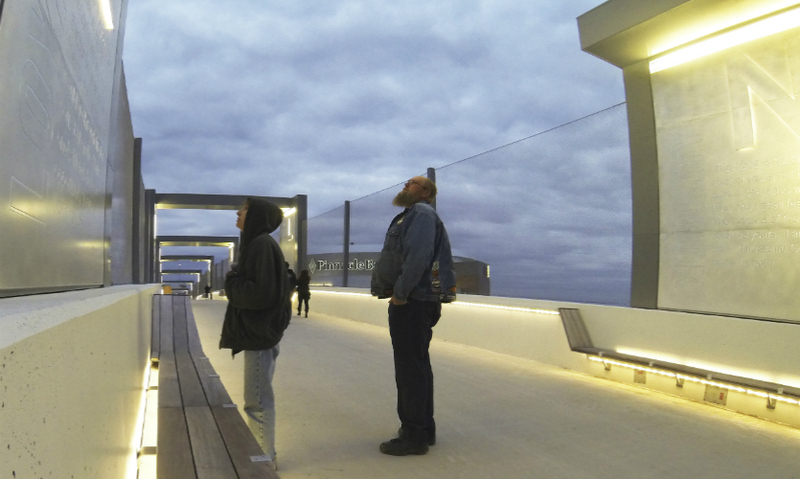 The pedestrian bridge was a part of the first major phase of development in the Haymarket District. It helped demonstrate a need and community desire for further development that is now underway, including extensive retail, restaurant, and residential growth around this area.